The Vinyl Sheridan's spacious roof design combines with a luxurious vinyl-coated exterior finish for superior storage space and durability. 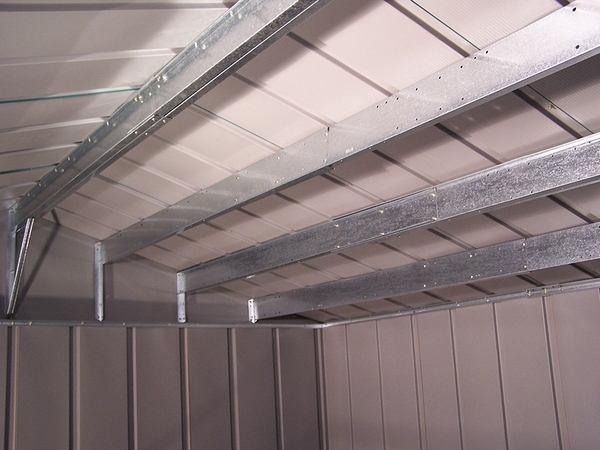 Long-lasting vinyl-coating over galvanized steel has five times the coating thickness versus standard steel buildings. 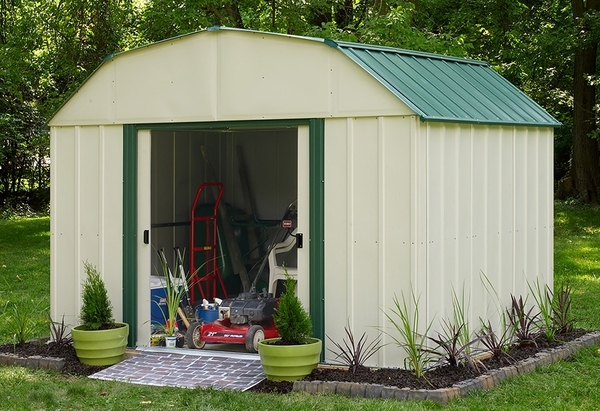 This 10' x 8' shed boasts 74 sq./ft of storage. 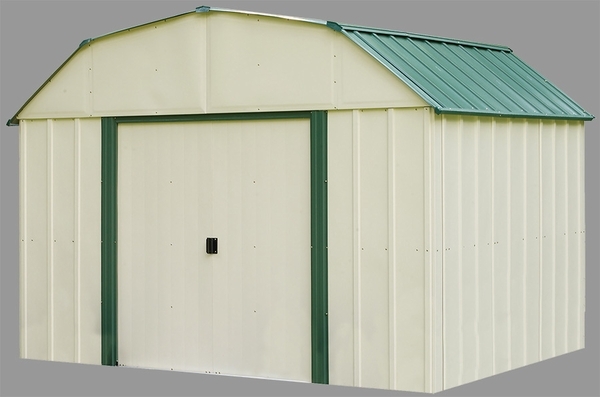 Packaged together with this shed, is the compatible Roof Strengthening Kit. 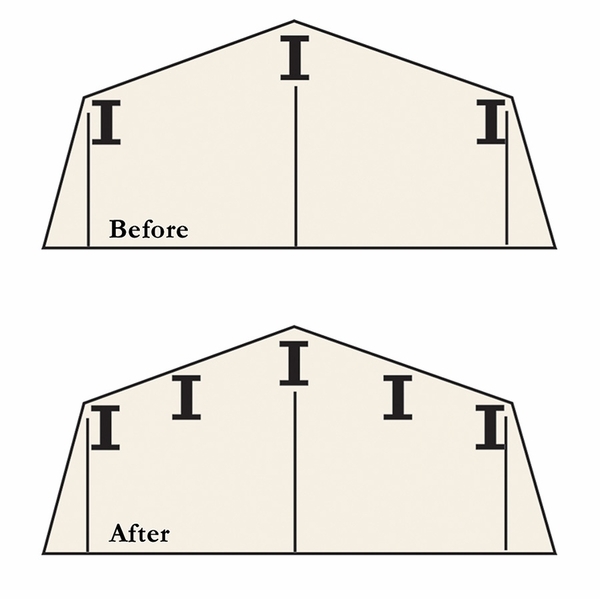 Add additional beams to the roof of your shed during installation, which will increase the strength of the roof and snow load. * Please Note: Do not use Pressure Treated Lumber with this unit. If Pressure Treated Lumber comes into contact with your arrow product, it will void the warranty. Do Not Store Pool Chemicals in your Arrow Product - this will void the warranty.